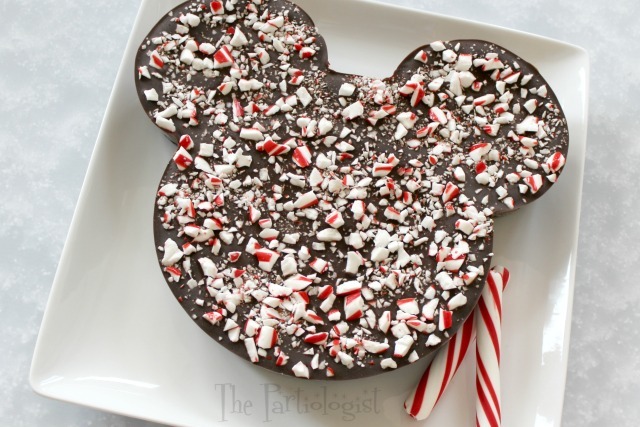 The Partiologist: Mickey Mouse Peppermint Cheesecake! 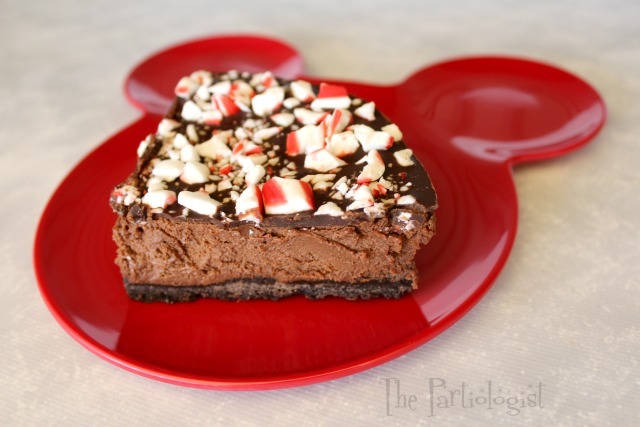 Peppermint Cheesecake is always a favorite. 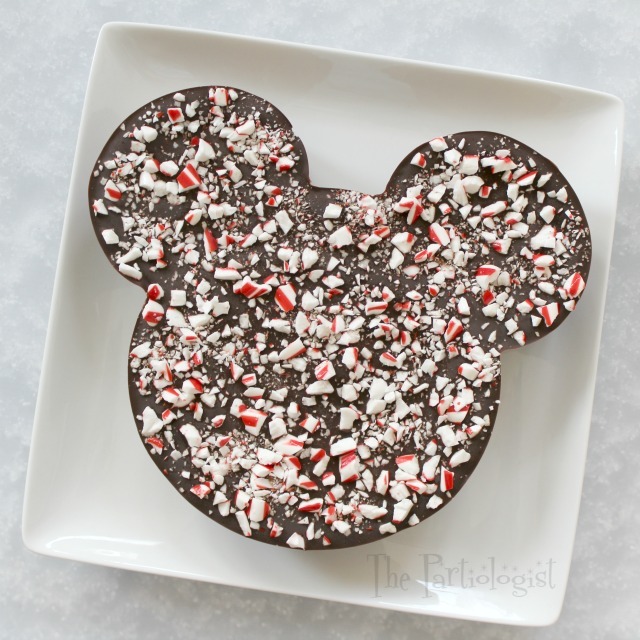 Mickey Mouse Peppermint Cheesecake is magical. 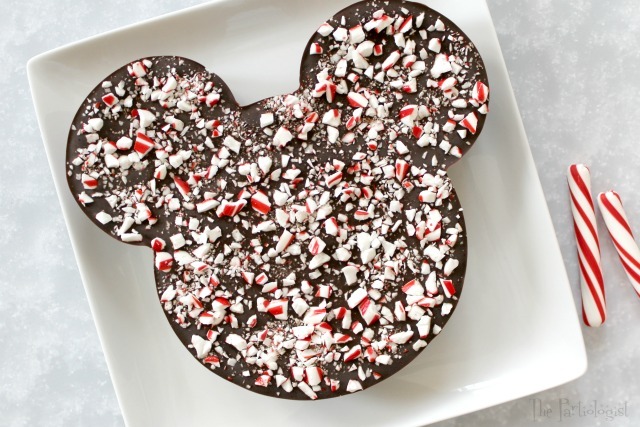 When I was featuring everything from the Very Merry Christmas Dinner I hosted last year, I felt like I was bombarding you with Disney sweets, so I decided to wait a year to share the Mickey Mouse Peppermint Cheesecake I served for my family's Disney send off party. 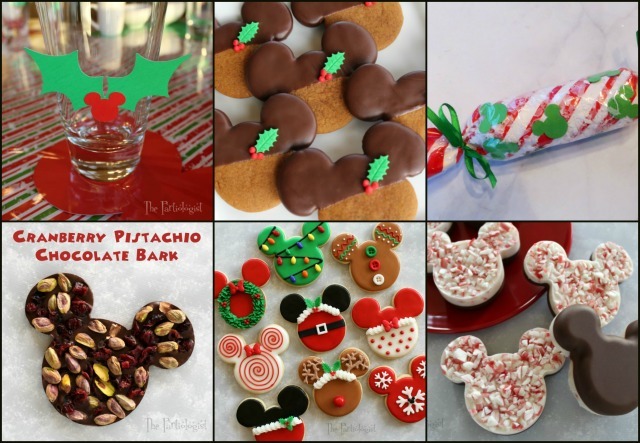 I may have gone overboard with Disney themed Christmas sweets, but really, one can never have too many Disney sweets, right? I almost felt like I was at Disney World myself. Oh my gosh, it was magical. Note to Mickey...I really think this should be the newest thing served at Disney. I saved a piece for you. Here's a fun fact about this cheesecake. Instead of using a spring form pan, use any shape silicone mold to make it. Be sure to use a mold that is flat across the bottom. A peek into the process. Mix the Oreo cookie crumbs and butter. Press in the bottom of the pan. Make the filling and pour into the cheesecake pan. Crush peppermint sticks. (I like to use the soft peppermint sticks). Break apart the Ghirardelli chocolate and place in microwave bowl, set aside. •Melt the butter and add cookie crumbs and sugar. 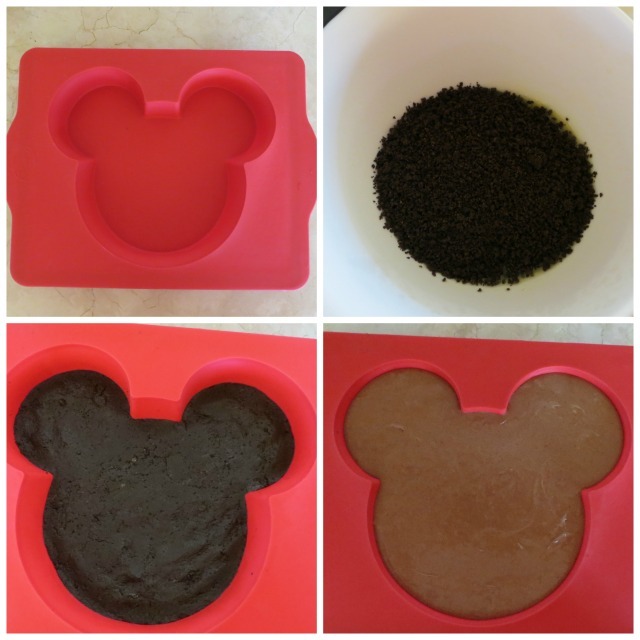 •Press in the bottom of Mickey shaped silicone pan (or other shaped pan). •Bake at 350 degrees for 10 minutes. •In medium mixing bowl, mix the cream cheese and sour cream until completely blended. •Add the sugar and eggs, mix until combined. •Melt the chopped chocolate in microwave safe bowl and 30 second increments at half power until melted. •Add the melted chocolate to the cream cheese mixture. Mix until combined. •Add crème de menthe flavoring. •Pour cheesecake mixture on top of the chilled crust. •Bake for 25 minutes or until done, but still a bit wobbly in the center. 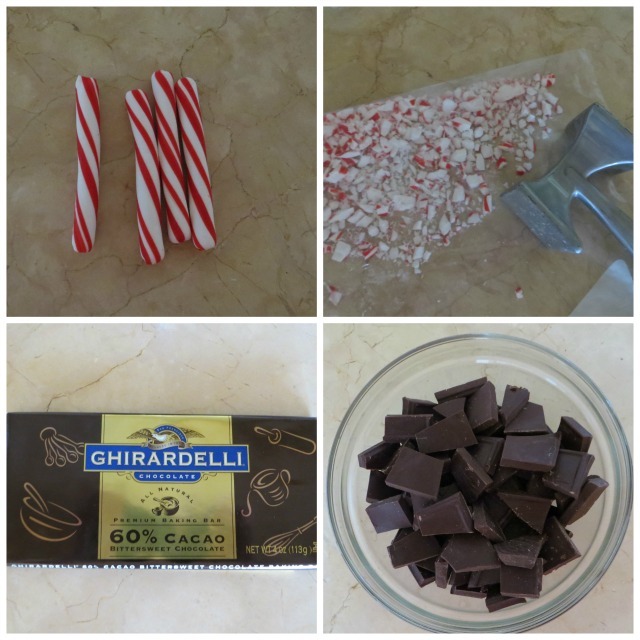 •Crush the peppermint candy by placing the peppermint sticks into a baggie and pound with a meat mallet, set aside. •Place chocolate in a medium heatproof bowl; set aside. •Place cream in a small saucepan over medium heat and bring to a simmer. •Pour over chocolate and let stand until chocolate has softened. •Add butter and stir until smooth. •Pour the chocolate topping on the cheesecake, spreading to the edges. •Sprinkle with the crushed peppermint. •Freeze the cheese cake overnight in the silicon mold and remove. As a fan of Mickey Mouse, I authoritatively declare that this is the very best cake! Thanks for the recipe and inspirational photos. Your blog is a godsend for lovers of cooking.